This is a split-level house that maximises the views and aspects from its hillside site. The living areas are located predominantly on the upper floor taking full advantage of the panoramic sea views across Portrush. Their is a large full height open plan Kitchen, Dining and Living space that is lit both from large sliding doors and glazed panels and from above via a large ridge light. 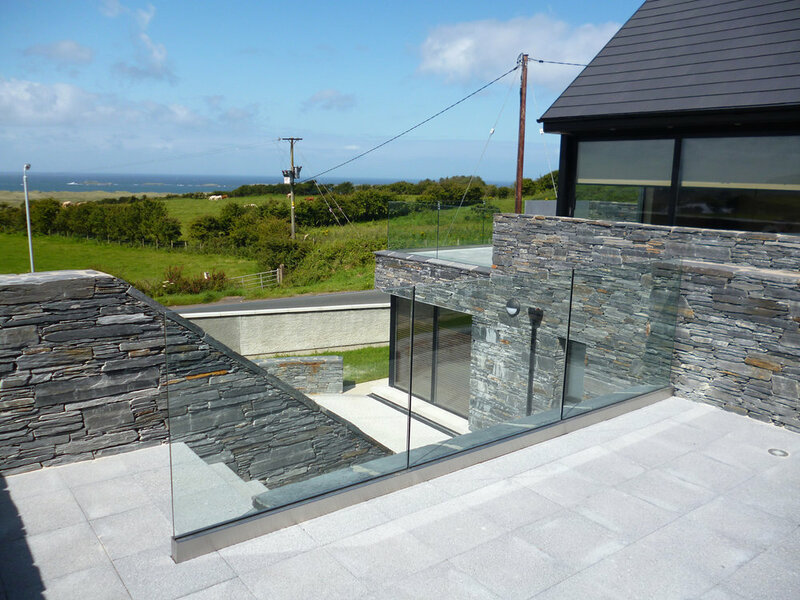 This large open plan space opens up onto a frameless glazed terrace that commands views across Portrush, out over the North Coast and out toward North Donegal. The bedrooms are located on the lower ground level enjoying direct access to the lower external circular terrace. The traditional masonry cavity wall construction is supplemented with high specification insulation within the cavity walls, floor and roof. It has a mechanical ventilation and heat recovery system installed as well as two wood burning stoves. 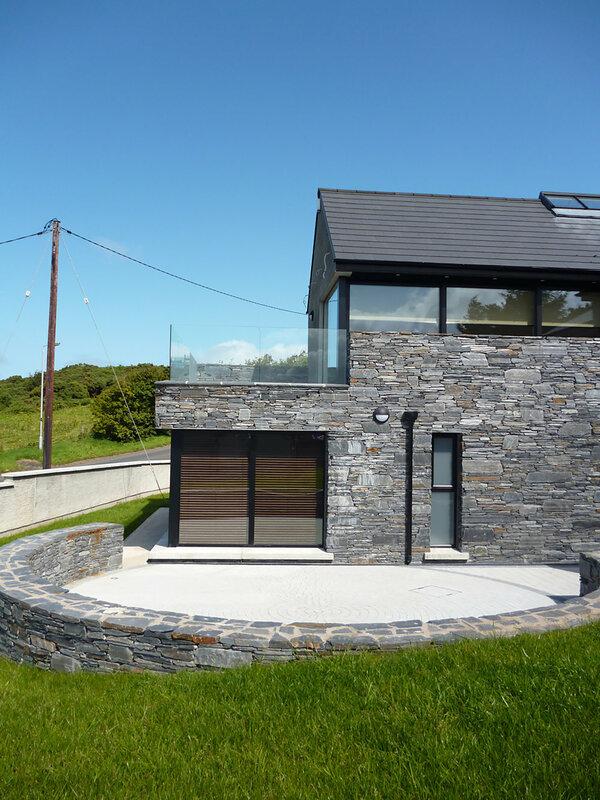 Externally many of the lower walls are clad in Donegal Shale Stonework which helps ground the building in its site and also forms many of the external boundary walls and the large curved stone walled lower terrace. Energy efficient Aluminium and UPVC windows were specified maximising energy efficiency while remaining conscious about budget. 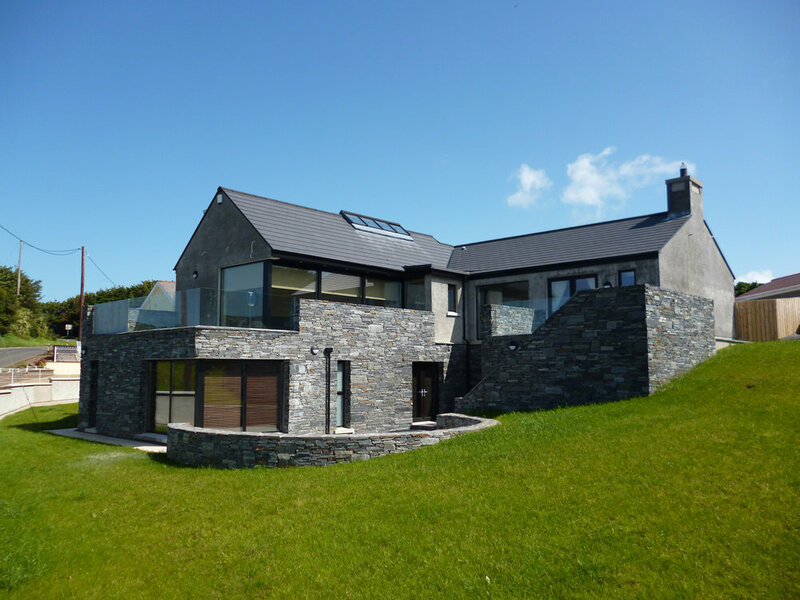 The building was completed in 2012 receiving a commendation by the Federation of Master Builders for house of the year. The clients are now enjoying their well earned panoramic views!